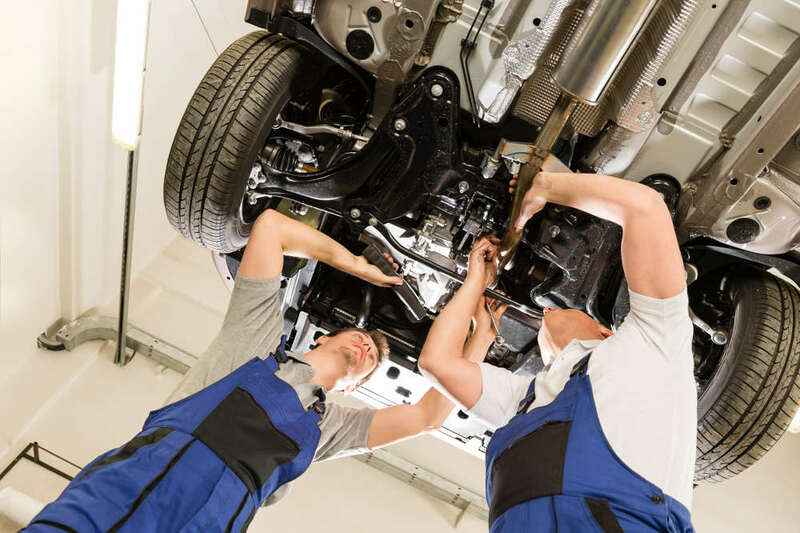 If you own an automobile in Victorville, you must learn the signs that mean that the suspension system needs repairs. Your shocks will begin to degrade over time because the weight of your vehicle puts pressure on key metal components. Many car owners think that a suspension system only has one function, which is to ensure a smooth, comfortable ride. However, suspension components also control how efficiently a car steers on the road. 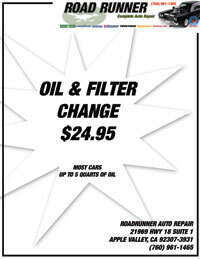 This is why you must work with a Road Runner Auto Care technician in Victorville whenever your car rides roughly, continuously pulls, or frequently dips. When you drive over bumps on the road, you may not be able to determine whether or not the shocks are defective. However, if the entire ride feels rough while you travel down streets and highways that lack bumps and potholes, your suspension system will require professional maintenance. If your suspension system is failing, your vehicle will pull or drift whenever sharp turns are taken on the highway. This means that the shocks aren’t keeping the vehicle stable throughout each turn. If this problem isn’t addressed immediately, your automobile will likely rollover. Nose dives will occur if the shocks in a suspension system are completely worn out. When a car dips, its body will move forward and downward at a rapid pace shortly after the brakes are pressed. This particular suspension issue affects how quickly a vehicle comes to a complete stop. If your shocks are oily, maintenance or repairs will be needed because fluid is leaking somewhere in the suspension system. You can check the shocks by shining a flashlight underneath your vehicle. A test bounce can help you determine when immediately maintenance services are needed. To perform the test put your vehicle in park in your driveway. Then, put all of your weight on the automobile and release. Next, implement the same procedures at the back of the vehicle. If the automobile bounces three or more times, you’ll need to replace or repair the suspension system.